LDG Commercial Real Estate is a boutique commercial real estate firm that focuses on the representation of office, industrial, and retail tenants in the leasing or acquisition of real estate. 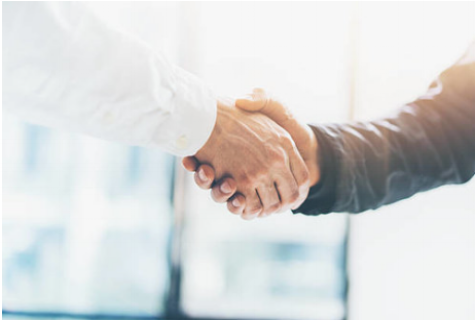 With over 20 years of experience by partners James Langley, Scott Dickson, and Barrett Geenen, our detailed hands-on and relationship-driven approach allows us to provide our clients with the level of service and commitment uncommon in our industry. Formerly operating as Schwartz Commercial, LDG Commercial has a transaction volume greater than 8 million square feet. LDG offers a level of expertise and experience that will place the negotiating leverage back in the Tenant's hands. For over 20 years, LDG Commercial has been representing tenants throughout San Diego County with services ranging from site selection, space planning, financial analysis, lease negotiation and much more. LDG Commercial Real Estate will locate the right space with the best terms and conditions while saving you time, money and adding expertise to your lease negotiations. We work hard at what we do best, so you can work at what you do best. For free help finding commercial real estate in San Diego click here! View The Market Reports For Q4 2018 Below! Check out these exciting videos that highlight our clients! We are proud to showcase the exceptional people and companies we get to work with each and every day. Take a look around Full Swing Golf new office, showroom, and warehouse located in Carlsbad, CA. Full Swing is dedicated to becoming the worldwide leader in sports virtualization hardware and software. LDG Commercial represented Full Swing in this transaction. David and Courtney Kirian, partners of THiNK Office Interiors, share their story of creating a dream office in San Diego. When it comes to a creative space, David said "It's difficult to design an office space for all your clients, so what we did is design one for us". We believe they CRUSHED it with their new office by capturing innovation, creativity, and good times. LDG Commercial is honored to represent THiNK Office Interiors as one of the most creative and respected office interior design firms. Jose Castillo, owner of BPM Supreme shares his story of how he established one of the coolest places for music lovers to work. BPM Supreme is a global music service providing DJ’s the newest audio and video, latest news, radio charts, interviews, and more. We loved working with this awesome company every step of the way. Johan Engman, owner of Breakfast Republic, speaks about his restaurant, vision, and relationship with Schwartz Commercial. We are excited to share his story! We pride ourselves on transformational relationships, not transactional. There are two parties to every real estate transaction, landlord and tenant. Tenant representation is where the tenant hires a representative to work and act in their best interest. At LDG Commercial Real Estate, our primary focus is on representing the tenant. At LDG Commercial Real Estate we work on behalf of the tenant and look out for the tenant’s best interest. Our fiduciary responsibility is with the tenant, not the landlord. We are tenant advocates acting in the tenant’s best interest. LDG Commercial is based in San Diego, California. Partners James Langley, Scott Dickson, and Barrett Geenen came together and founded the firm in 2018 after operating under Schwartz Commercial for 10 years to provide unparralled tenant representation in San Diego.